BACK ON MARKET. NO FAULT OF SELLER. 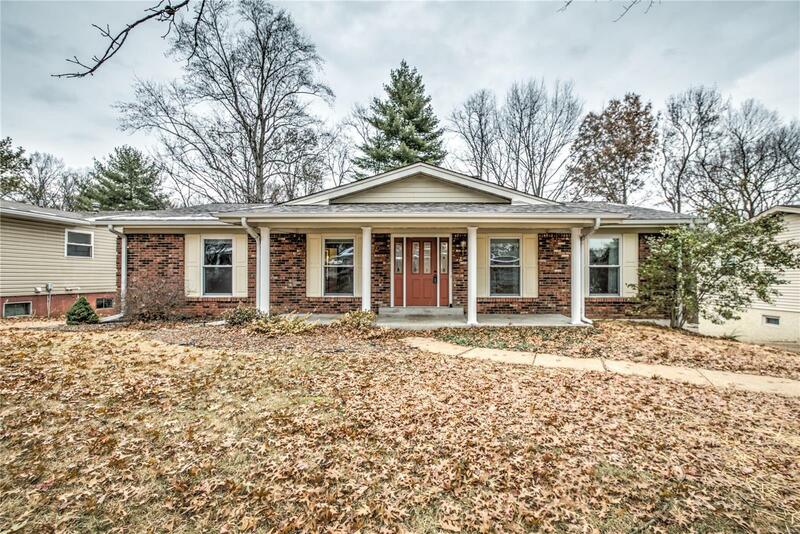 Lovely ranch house located in a quiet Fenton suburb is ready to be called your next home. Home features a low maintenance brick front elevation with a rear two car garage, enormous patio & spacious deck for those backyard barbecues. Home backs to a large wooded area that provides extra privacy. Inside you will find plenty of space to spread out. This home highlights a large living room & very spacious family room that features a large brick wood-burning fireplace & sliding glass door that leads to your nice deck. Kitchen features a breakfast nook, plenty of custom cabinetry, a center island & opens to the family room. Master bedroom has a bay window & en suite including a stand-up shower. It also features a large & very clean unfinished walkout basement, which would make a perfect entertainment space, game room & extra bedrooms. With a few small updates this home has the potential to be absolutely gorgeous. New Roof Nov 2018. 2 year AHS warranty.